YET another grey nomad has come up trumps on the lotto ... scooping nearly half a million dollars. 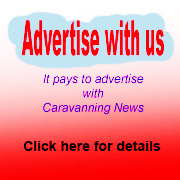 The man joins a lucky band of travelling caravanners who have struck it rich with a lotto flutter while zig-zagging their way around Australia. 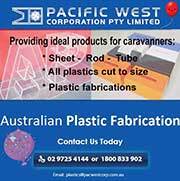 "There's no doubt about it, they are a lucky bunch," a Lotterywest spokeswoman told Caravanning News. The identity of the latest winner is being kept secret but it is known he comes from New South Wales. The thrilled traveller held one of nine division-one winning entries across Australia to pocket $444,985.88. In addition, he also won six division-three dividends and four division-six dividends, bolstering his total prize to $452,426.88. "Wow ... that's a lot of money," he exclaimed when told of his windfall. "I'm actually up in Darwin at the moment on holidays. I'm heading home to New South Wales via South Australia and across Victoria. "I'm on a bit of a road trip, so this might help me to extend my trip a bit." 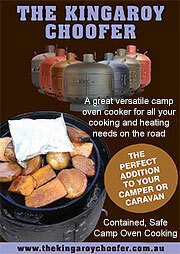 The caravanner said he had not thought too much about what he would do with the money. "It’s certainly giving me a bit of a buzz," he said. The winner also revealed he was prompted to check his ticket after picking up the local paper. 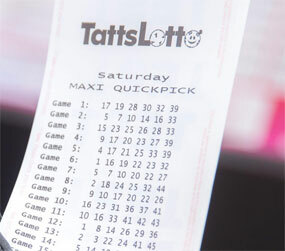 "I went to the newsagency to pick up the local paper and saw the TattsLotto results," he explained. "I thought 'hang on, there is something strange about those numbers'. A couple looked familiar because I mark my numbers when I play. "They aren't really any special numbers but I'm sure they will be my lucky numbers now!" When asked how he planned to celebrate, the winner revealed he had a few ideas. "I think I might grab a few beers and go from there," he said. The winning entry was bought at Parap Newsagency in Parap Road, Parap. Previous lotto winners have included a couple of grey nomads from the Gold Coast who collected a cool $10 million a year ago. And a few months later they landed another $150,000 with a $10 Instant Scratch-Its ticket bought at Top News in Katherine in the Northern Territory. 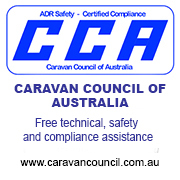 The unnamed winners learned of their second win while on a round-Australia adventure in their brand new caravan, bought from their first windfall. "We have never considered ourselves to be lucky. Now we are wondering if these things come in threes and whether we'll have another win before the end of the year," they said. Last year, a NSW grey nomad was "ecstatic" with her $985,744.11 lotto win. 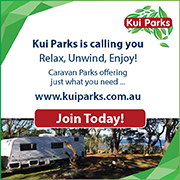 She bought her winning 12-game QuickPick at Proserpine in Queensland and realised she had won while ticking off the numbers in her caravan at a nearby caravan park. She described her good fortune as an "amazing addition" to her ongoing big trip around Australia, which had seen her already clock up tens of thousands of kilometres.